Ride on to the journey of diamonds with beautifully engraved white sapphire on each of its steps with the cascade diamond pendant. 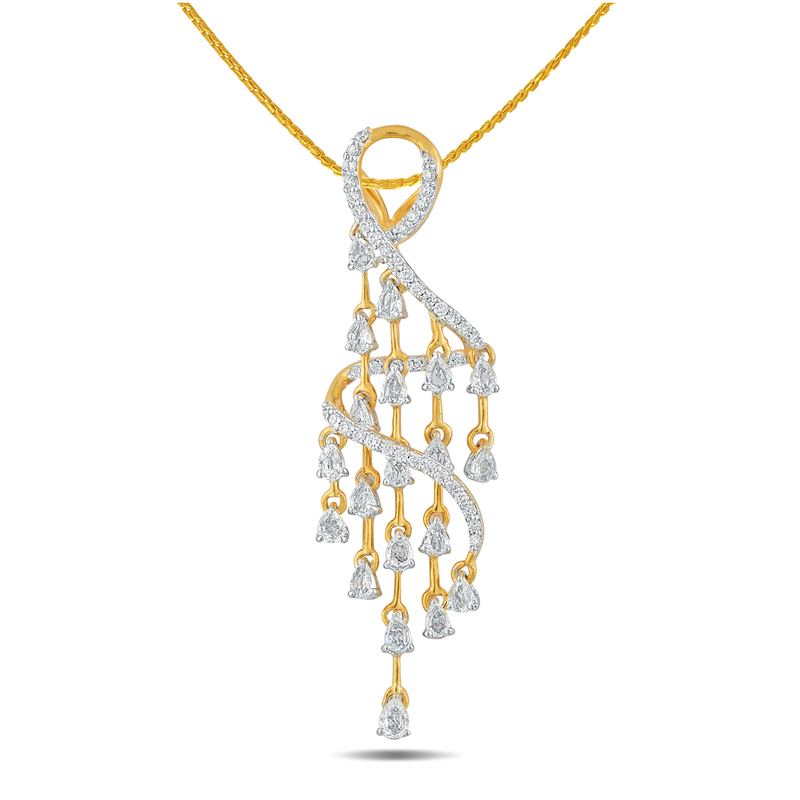 This pendant is made of 18 KT gold and 0.28 CT diamond. Wear it to pair up with the cascade white sapphire diamond pendant to enjoy the magic of real diamond.